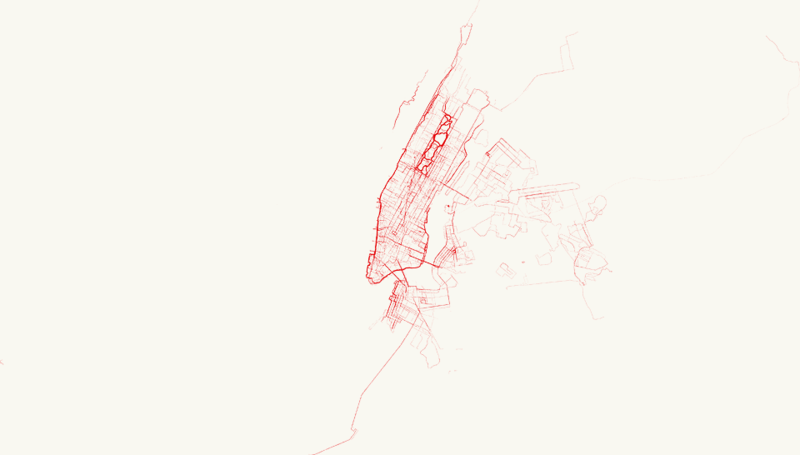 Using code to parse through half a million lines of data to visualize running and bicycling patterns in New York City, discovering interesting stories. 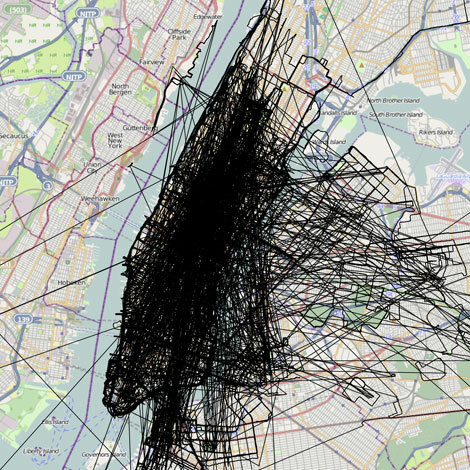 This project used Processing to sort through over 500,000 lines of data (a 58mb text file!) 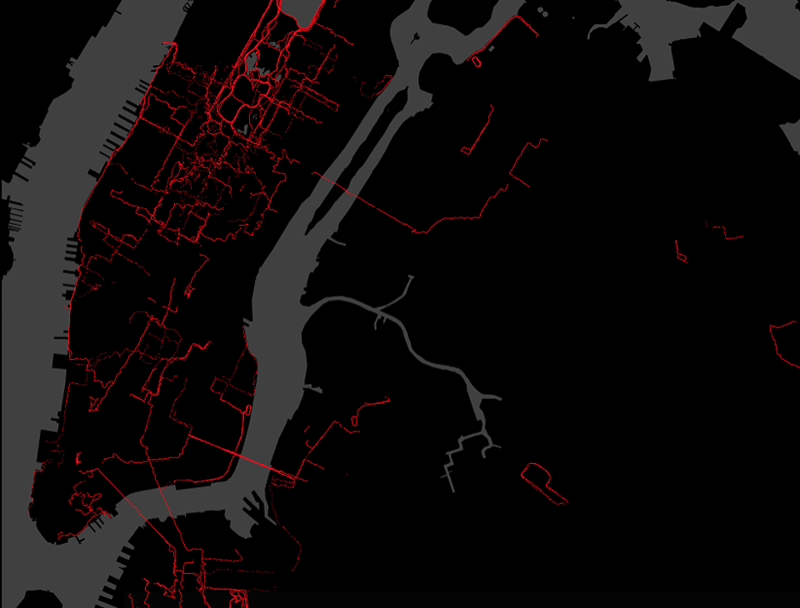 provided by Nike+ users tracking their runs and bicycle trips. 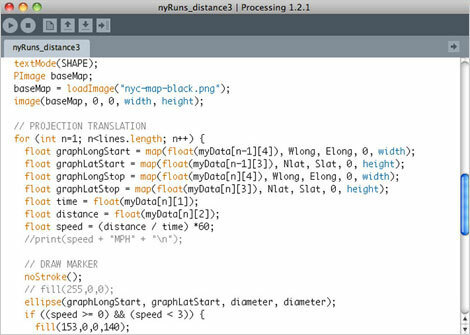 The code written in Processing could then separate the 1,000 unique participants and start to visualize their geo-cordinates, elevation, time and distance given every 3 seconds. With this, a portrait of people's outdoor activities in New York City can be illustrated. First, the athletes’ pace was illustrated by taking the total distance of each user and dividing it by their total time. 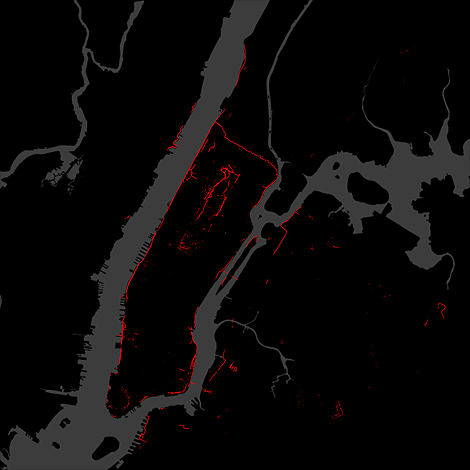 Six different pace ranges were color-coded onto the map of New York City. This provided a clear sense of who was running, who was biking and who forgot to turn off their Nike+ device after getting in a car driving along the Long Island Expressway. 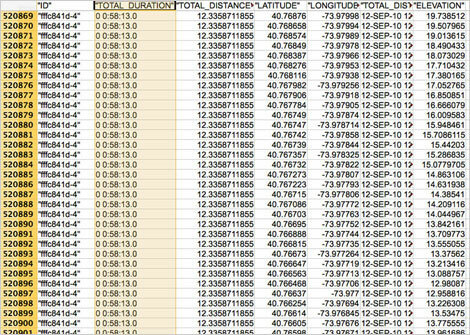 Next, both total times and total distances were charted side by side for comparisons showing where in the city people were travelling slow, fast, short or long. Elevations of each user was initially shown by color-coding the runners and bicyclists’ elevations, with red representing 0–10 feet above sea level to white for 50+feet above sea level. 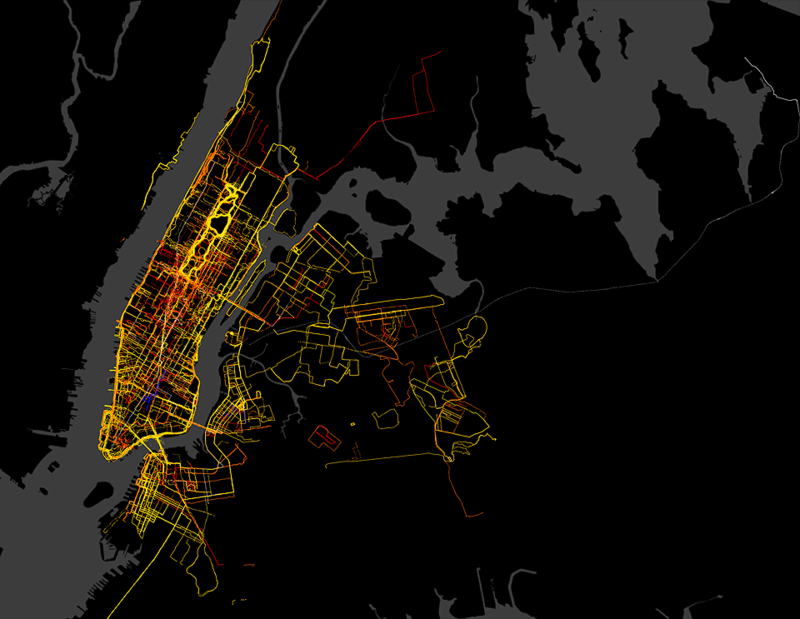 The visualization looked beautiful but also easily shown some glaring inaccuracies (such as trips over the Brooklyn Bridge at sea level) that proved that Nike+ was erratic and unreliable when it comes to gathering elevation data.